Turn PST into XLS. Save time, it's easy. 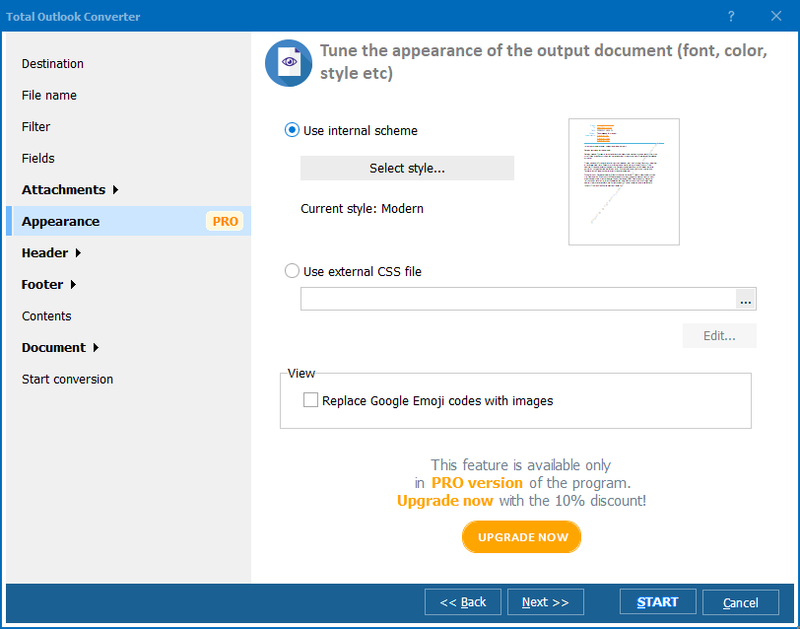 You are here: CoolUtils > Total Outlook Converter > Turn PST into XLS. Save time, it's easy. One of the best ways to extract emails from a PST file is converting it to TXT. TXT allows to store text without any formatting, that means very compact file size. TXT copies can be opened in any text editor or viewer, so it will be no problems in further use of email data. If you lost password to your MS Outlook account, export PST to text may help you to save important business correspondence from loss. 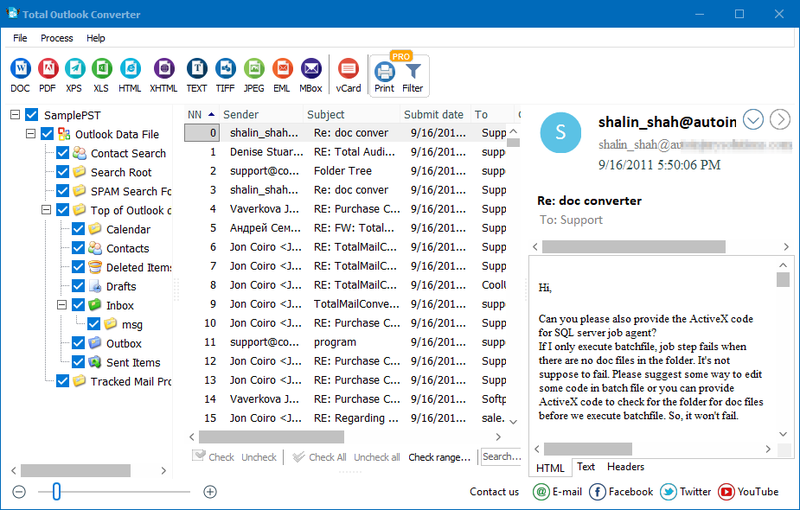 PST file can be converted to TXT with the help of Total Outlook Converter. This program is developed for exporting Outlook emails storage to more common document formats. You can turn them to texts, images, tables and even HTML pages. 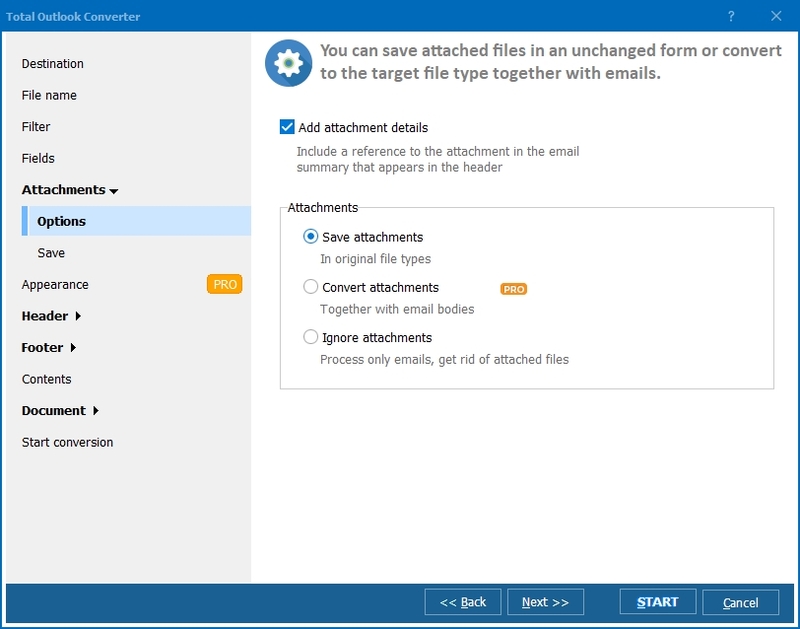 Total Outlook Converter has a built-in email viewer, so you can view your mail history and easily find important emails for conversion. They are displayed in the mail list similar as in Outlook client, so you will feel comfortable with the program's interface. Check off the messages for conversion and press TXT button to render PST to this format. In the popped up window there is a set of adjustable export parameters. Setting them you can optimize the format of future TXT copies according to your needs. If there are no special adjustments required, leave the default settings without any changes. 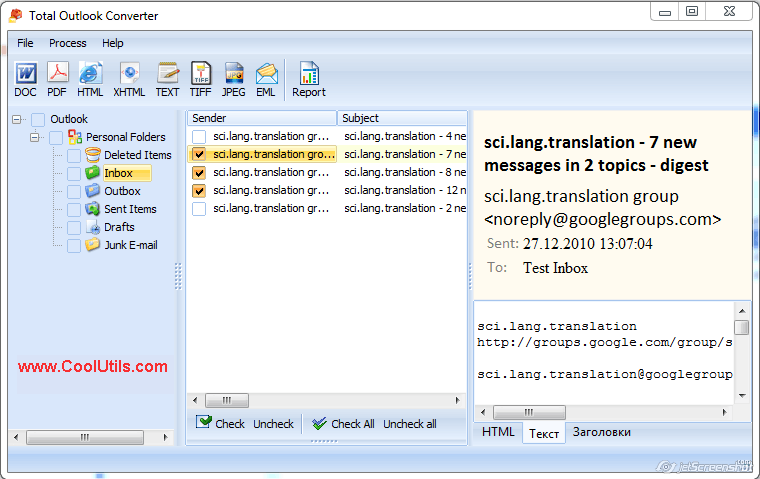 The program will simply render email texts to TXT files (each message into separate document). You can also use Total Outlook Converter from the command line interface in Windows. It is handy to launch conversion of the whole mailbox in background mode. 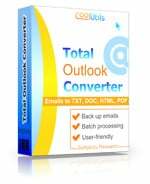 Total Outlook Converter can be downloaded here, in a free trial or licensed version. Get your copy now!